LeBron seemed sincere in his opening press conference for the season, and it’s a fair point to not want to help players that aren’t helping you win a championship. 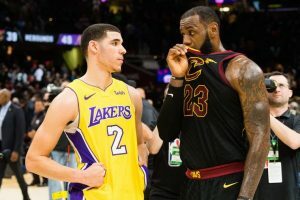 The thing is, LeBron has been giving advice to all kinds of young players in a very public manner after games. We saw it with Lonzo Ball. The very next game against the Jazz we saw him and Dwayne Wade pull another rookie, Donovan Mitchell, aside and give him a short lecture. You might remember last year when he did the same thing with a rookie Jaylen Brown. So, why does he have nothing left for Kyrie? The answer is simple: he knows Kyrie is ready to win without him. He’s already given his former protegé more than he would like the leader of a serious contender to have. Kyrie is no wide-eyed rookie. Still, LeBron has established himself as a “big brother” of sorts for young players around the league. The two have built a bond together. 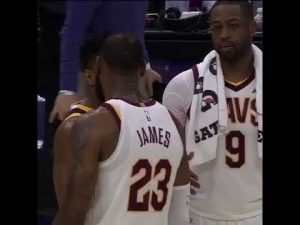 Now, he doesn’t have anything left to say to Kyrie. He can act like it’s everyone, but it’s not. It’s just guys he sees as a threat to his legacy, and that list now includes Kyrie Irving. His explanation of why he has nothing left for Kyrie seems inaccurate and pointed. If you ask me, he is legitimately worried about Irving and the Boston Celtics. LeBron has been to 7 straight NBA Finals. He knows what it takes to get there. He also knows Kyrie Irving knows what it takes to get there. Kyrie Irving is ready to be the #1 guy. LeBron may have been ready to give him the keys, as he said in his preseason interview. But Kyrie was tired of riding in the backseat. So he went out and found himself his own car. One that he could drive. And one that has yet to reach its top speed. The Celtics are still a work in progress. They have cooled off a bit since their 16 game win streak at the beginning of the season, but they are still an obvious force. 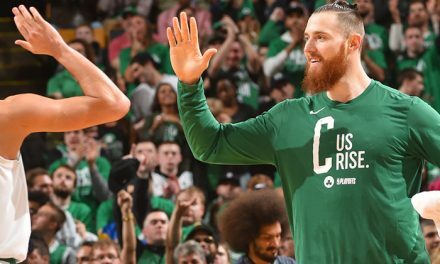 Even without Hayward, the general consensus is that there will be an Eastern Conference Finals rematch between the Cavs and Celtics. The biggest difference this time around would be the size of the storylines. 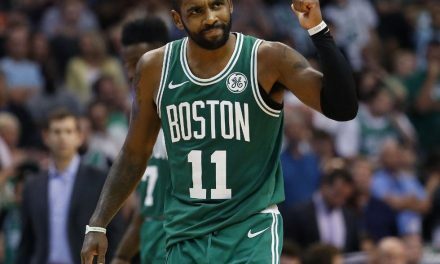 Kyrie will be trying to put the last stamp of approval needed to validate his move to Boston. Maybe more accurately, out of Cleveland. 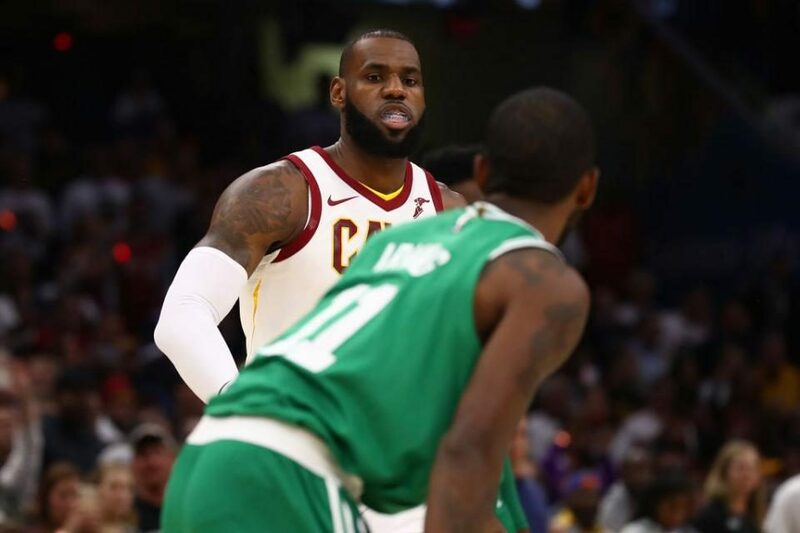 It would be truly epic to see Kyrie take down LeBron and end his Finals reign. Instead of LeBron handing Kyrie the keys, Kyrie will be looking to take them from him, head to head. We could see these teams clash in the playoffs for years to come. It seems inevitable the Celtics take the crown and reach the Finals. For Celtics fans, perhaps watching Isaiah Thomas try to exact revenge on his old team and new rival will be the hardest thing to watch. It is tough not to root for this guy. 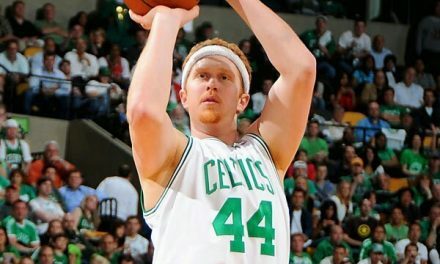 It is tough to realize he could be heavily responsible for ending the Celtics’ season. It would also be the 2nd year in the row the two play in the ECF, and could mark the start of a true rivalry. The Celtics are getting better every year and will soon be the favorites in the East. But until somebody knocks him off, LeBron holds the key to the Finals. As long as he is in Cleveland, they will be a force in the playoffs. Eventually, there will be a team that comes along and beats LeBron James and the Cleveland Cavaliers. 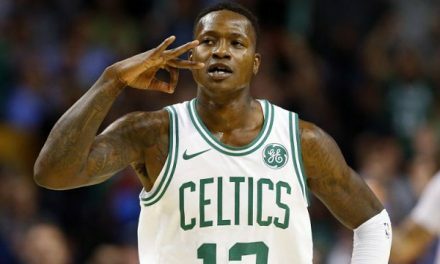 Most would agree that team will most likely be the Boston Celtics. Even if LeBron isn’t willing to give Kyrie any more advice. Kyrie has everything he needs to succeed. Who knows, maybe we’ll see LeBron give the rookie Jayson Tatum some love Wednesday after the game. Or, maybe he’ll see him as a member of a team that is a serious threat to his championship aspirations and stay far, far away.